Become a master of the helicopter backpack flying skills. Your mission is to find your way out of a goldmine, but beware: the caves are full of dangers and challenges! Are you brave enough to face them all? 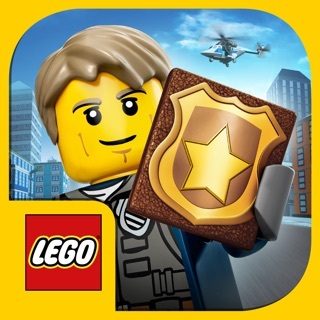 On your journey, collect coins and gold bags. When you have enough coins, you can buy key from a gold miner to open a door. Watch out for the miner who can stole what you have collected! You can fly short distances by using your helicopter backpack. Be careful when flying: avoid collisions and falling from too high! - 20 funny and challenging goldmines to explore! 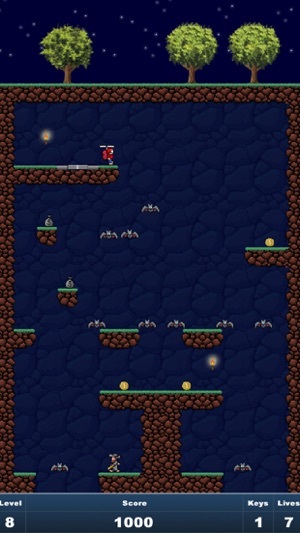 - Many enemies, including: bats, goldminers, lava and moving walls! 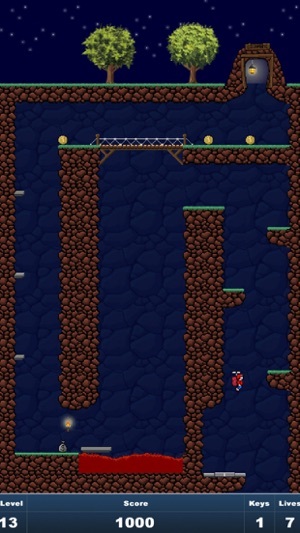 - Test your skills on tricky moving platforms. - Retro-styled graphics from 80's. - Simple and innovative gameplay. 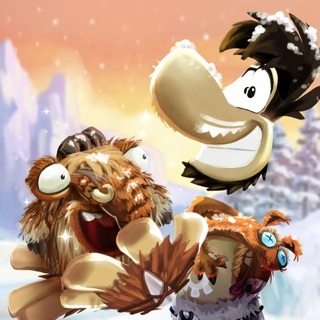 - Free to play on tablet or phone! No Ads! Maintenance update. No new features to the game.